Examples, solutions, videos, worksheets, games, and activities to help Algebra 1 students learn how to graph linear functions using tables, slope and intercepts method. The following diagrams show how to graph linear functions. 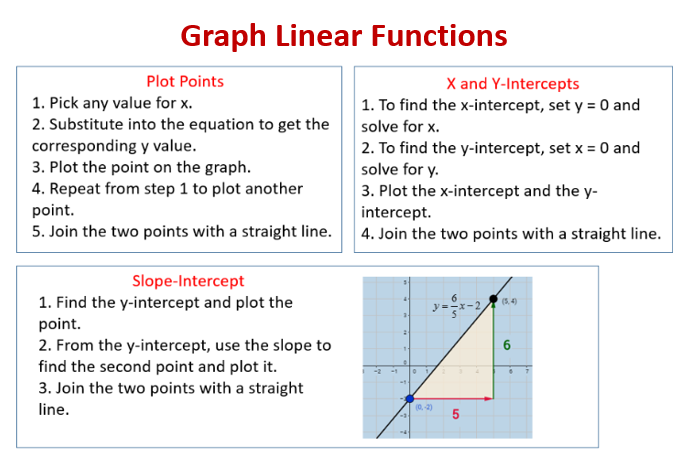 Scroll down the page for more examples and solutions on graphing linear functions. Graphing Linear Functions by Finding the X-Intercept and Y-Intercept of the Function. In this video we look at graphing equations using the slope and y-intercept.